Challenge: How can you make a quartz rod invisible with some water, sugar and a beaker? If we take something that is typically transparent (i.e. the quartz rod) you can normally see it quite clearly when placed in a liquid, by the way in which light is bent as it passes through. where ‘n’ is the refractive index of the material. So you might imagine that if we can change the rod, or the liquid itself, so that light entering from behind the beaker does not refract further on entering the quartz rod, we can effectively make the quartz rod invisible. 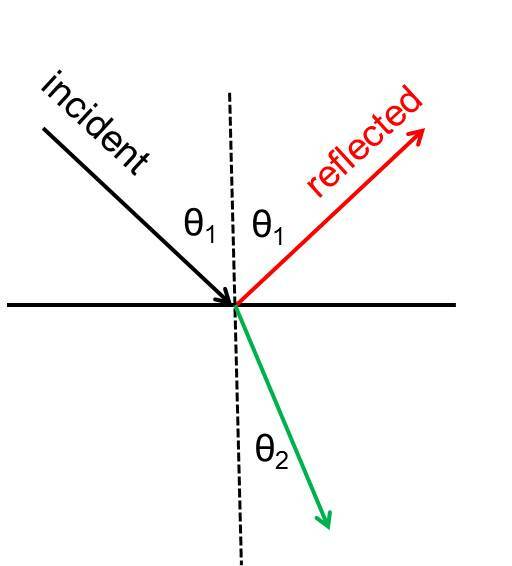 To do this we want to match up the refractive indices ( ). With water, as you add more and more sugar the refractive index increases, until finally it approaches that of quartz ~1.46. This entry was posted in Optics, Outreach and tagged quartz, refraction, Snell's law, sugar, water on July 21, 2014 by kmorrison2013.